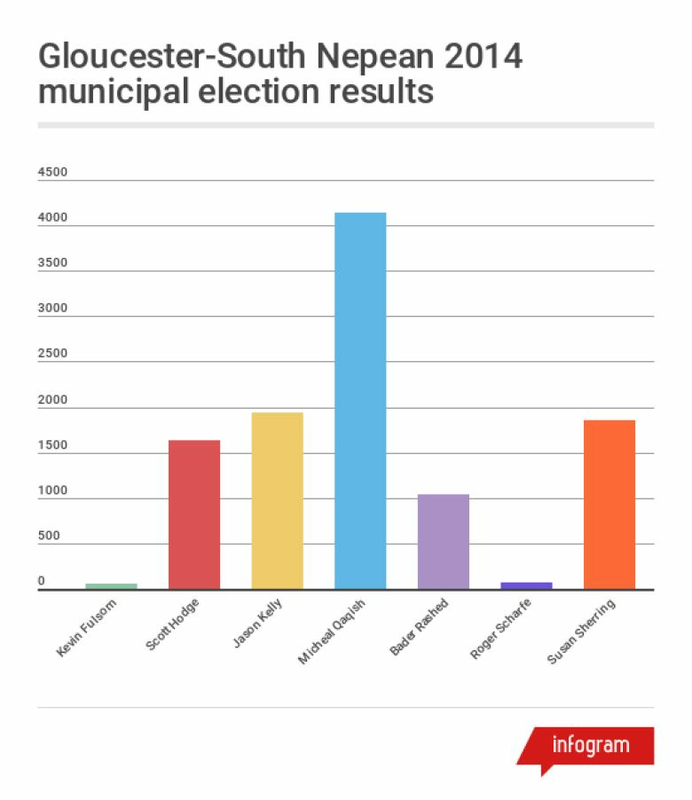 Four candidates are hoping to oust Michael Qaqish from the councillor's chair in Gloucester-South Nepean. 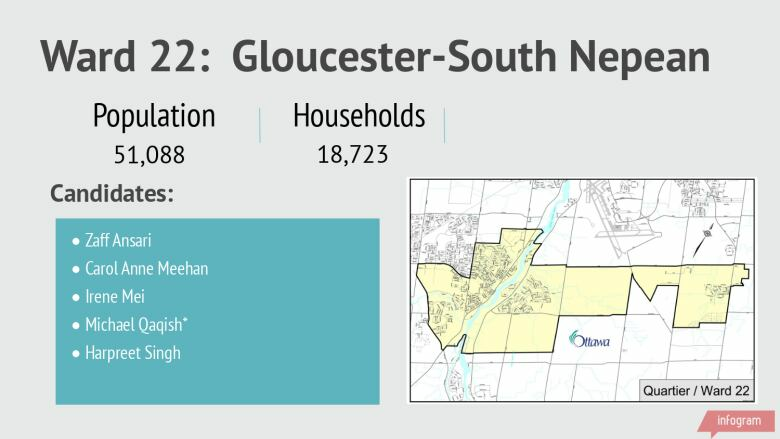 Gloucester-South Nepean has a population of 51,088 people living in 18,723 homes. Michael Qaqish was first elected to office in the 2014 municipal election with 39 per cent of the vote. Back then, he took on media personality Susan Sherring. This time he's taking on another well-known figure, former longtime TV anchor Carol Anne Meehan. Gloucester-South Nepean includes suburban neighbourhoods such as Riverside South and Findlay Creek on the east side of the Rideau River, and Chapman Mills and Hearts Desire on the other side of the Vimy Memorial Bridge. This southern area is growing, and the road conditions and traffic tie-ups to and from it are a daily concern.